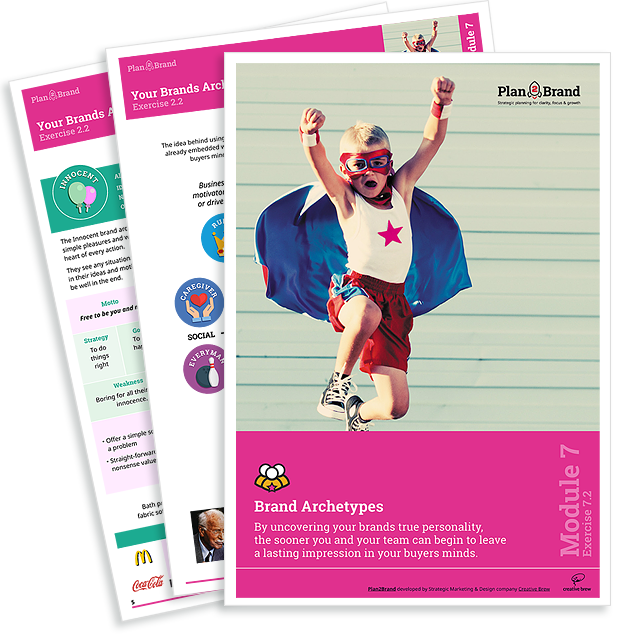 Uncover your brands true personality and leave a lasting impression in your buyers’ minds. We all gravitate to people who have a certain personality but we don’t often reflect how that works. As humans, we are hardwired to feel before we think. In fact we feel in order to think! So whom you decide to be life-long friends, is more to do with your emotional gut feel than rational thought. It’s no different to the relationship you have with brands. People have personality… and so do brands. What makes a brand look, act or express itself in a certain way is based on universally understood characters – or archetypes – that make up the whole gamut of human behaviour. First used by Carl Gustave Jung (1875-1961) in his theory of the human psyche known as the ‘Collective Unconscious‘, archetypes have influenced many fields including that of brand and marketing.